This course will help you understand how to objectively evaluate and address privacy risks through a tool called a Privacy Impact Assessment (PIA). You will learn about the benefits of this tool, as well as how to conduct a privacy impact assessment and leverage the results to proactively protect the confidentiality of an individual’s information. A PIA establishes an objective way to assess how an entity collects, uses and releases information about individuals – both health and non‐health related information. PIAs are widely used in Federal government and other industries, like the financial services industry. These methods can be readily applied to health care as a best practice. The information covered in this course is based upon the HIMSS Privacy Impact Assessment Guide, which explores how PIAs enable entities to make informed decisions to protect information privacy. This item has been retired. It is no longer available for purchase, and will only be accessible through June 29, 2015. 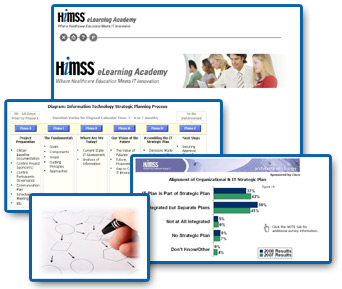 Visit the new HIMSS Learning Center for our latest educational offerings. Please contact customer service with questions.